One of the most durable groups, No Doubt's roots go back to the late 1980's when John Spence, Eric Stefani and his sister Gwen formed a ska band and played the Anaheim party circuit. In early 1987, Tony Kanal, then a high school junior, caught No Doubt's act at Fender's Ballroom in Long Beach and soon after tried out and became the group's bass player. By summer, he had become the group's unofficial manager. The group survived John Spence's suicide in December of 1987, though their initial reaction was to break up. In the spring of 1988, they were joined by heavy metal guitarist Tom Dumont. They built a considerable following opening for The Untouchables and Fishbone, as well as playing their own gigs. After shows they sold 3 and 5-song demo tapes. It was from the back of one of these tapes that Adrian Young found the phone number he called to get himself an audition as drummer. Though he exaggerated his experience, the group thought he was a good fit and brought him on board. No Doubt quickly evolved into a solid five-piece unit, expanding their sound to include the styles of each member. With shows opening for the Red Hot Chili Peppers, Ziggy Marley and Mano Negra, their fan base broadened to the college crowd and they were signed by Interscope Records in 1991. The band's 1992 debut album, an odd fusion of '80s pop and ska, produced a weak blip as the music scene became dominated by the grunge movement. 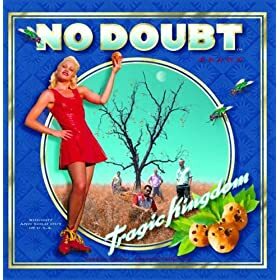 Interscope halted No Doubt's tour and stopped further recordings. So, the band recorded on their own during 1993-94, and self-released The Beacon Street Collection, a much rawer and more punk-inspired effort. Gwen's brother, Eric Stefani, left the group just after its release. He later worked as an animator for The Simpsons. 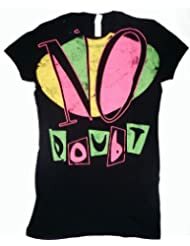 Hailed as a comeback album, Push and Shove (Buy Album ), the sixth studio album by pop/rock band No Doubt was released on September 21, 2012 by Interscope Records. It was their first album in eleven years. 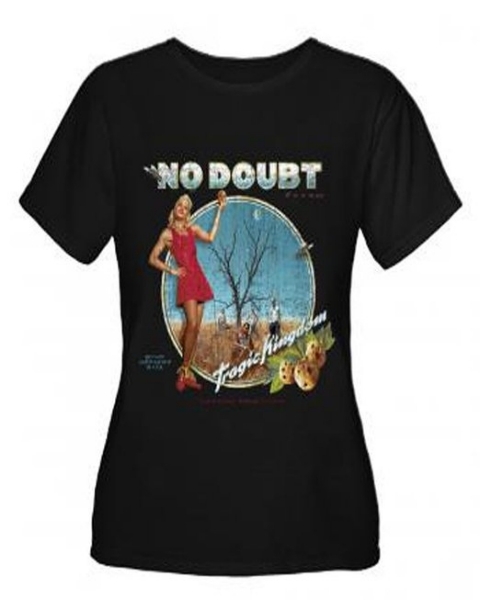 A deluxe edition of Push and Shove features acoustic versions and remixes of several tracks, plus "Stand and Deliver", a song No Doubt had covered in 2009. The album sold 115,000 copies during its first week and debuted at number three on the Billboard 200. "Settle Down", the first single from the album, was released in July 2012 debuting at number thirty-four on the Billboard Hot 100. The album's title track featuring producers Major Lazer and Jamaican reggae artist Busy Signal, was released as a promotional single the following month. "Looking Hot" will serve as the second single from the album and will impact contemporary hit radio stations November 6, 2012.